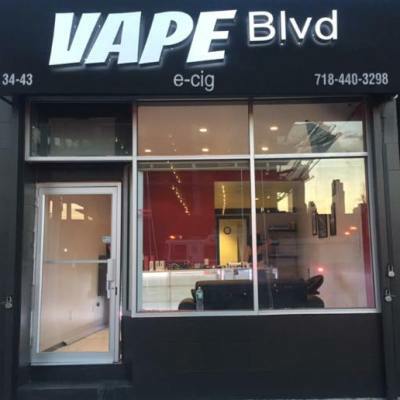 Vape Blvd, located in the heart of Long Island, carries the latest in e-cigarettes and vaping products. Our staff is knowledgeable about all of our products and eager to help our customers make the best, educated choice in vaping devices and hardware. Street Address: 34-43 Vernon Blvd.